Built on the hillsides of the Douro river, Porto is famous for its Port Wines, charming riverfront, and its UNESCO heritage center. It is no wonder why Portugal’s second largest city was elected European best destination to visit in 2017. With Port wine cellars to visit, inviting cafes to enjoy petiscos, a unique gastronomy, Porto has much to offer culinary explorers. The tourism board of Porto invited us to discover and taste Porto with their 3-day Porto Card. With the Porto Card in hand, we were ready to walk, eat and drink our way through Porto in 72 hours. What Is the Porto Card? What Else Does the Porto Card Include? The Porto Card is an official city pass that offers benefits and discount for over 170 attractions and cultural sites in Porto and the region. 10% to 40% discount on Port wine cellars, wineries and wine tasting. 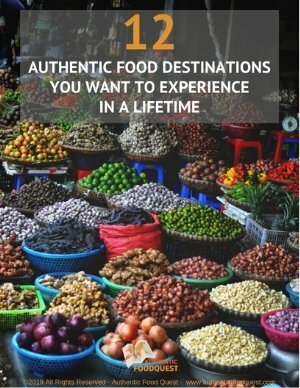 10% to 15% discount on local restaurants. 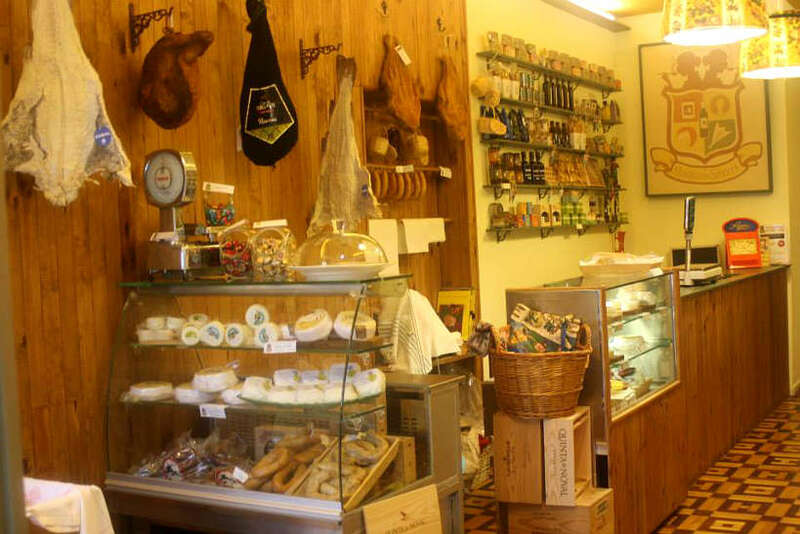 10% to 15% discount in various Portuguese, traditional gourmet shops and wine stores. 10% to 25% discount on tours and cruises. 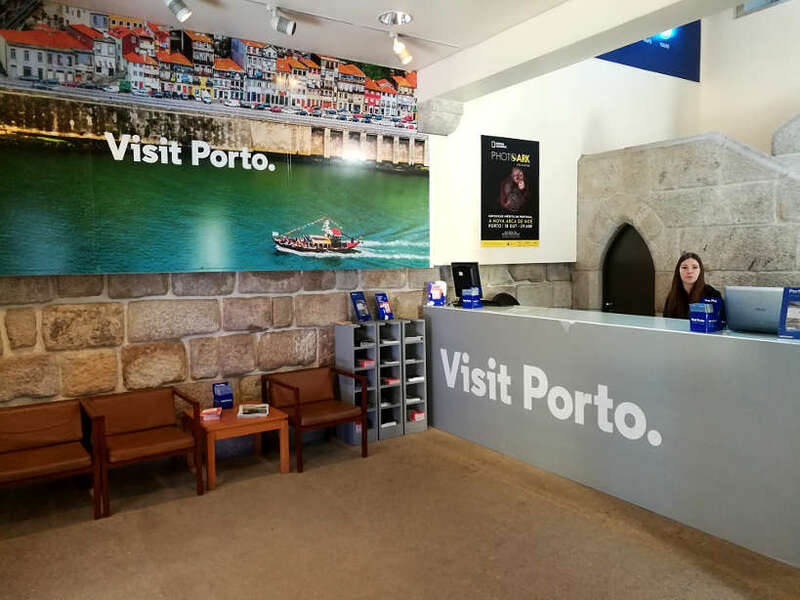 We were pleasantly surprised to read that the Porto Card offers many benefits beyond the traditional cultural attractions. 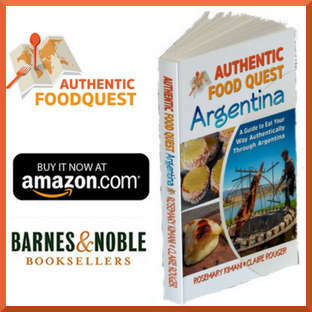 With discount for wineries, gourmet stores and restaurants, we were hooked! There are two Porto Card available: the Walker option or the Transport option. Both cards are available in 1, 2, 3, 4 consecutive days options. You can purchase your Porto Card in advance directly on the Visit Porto and the North tourism board website. The card’s validity starts from the date you write on the back of the card or when you pick it up at the tourist office. With our 3 day Walking Porto Card, and so many options to choose from, we focused on the culinary experiences. Porto has been at the center of wine commerce since the 18th century, creating the first demarcated wine region in the world. To better understand the history and taste Port wines, here are three places worth visiting. Start at the Instituto do Vinho which has a small museum with a detailed exhibition about how Port wines are made. This is a great way to start your journey to Port Wines including Douro Valley wines. After seeing the exhibit, taste unique Port Wines. The Porto Card gives you a 25% discount on the tasting of Port Wines and anything you purchase in the store. Address: Rua de Ferreira Borges 27, Porto. After the visit to the formal Instituto do Vinho, head to the Palácio da Bolsa, one of the most visited monuments in northern Portugal. Formerly, the stock exchange of Porto, this historic building is home to the Commercial Association of Porto. This multi-purpose building is used as a museum, restaurant, tasting room as well as for wine auctions. Don’t miss the highlight of the visit, the Arab Room. 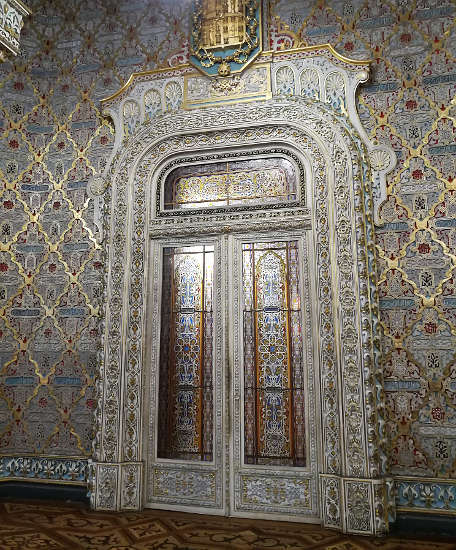 Built with Moorish decor of the 19th century, find beautifully stained glass and intricate designs. This room was used as a reception hall by the Nobless and it is still used for official events and dignitaries visiting Porto. 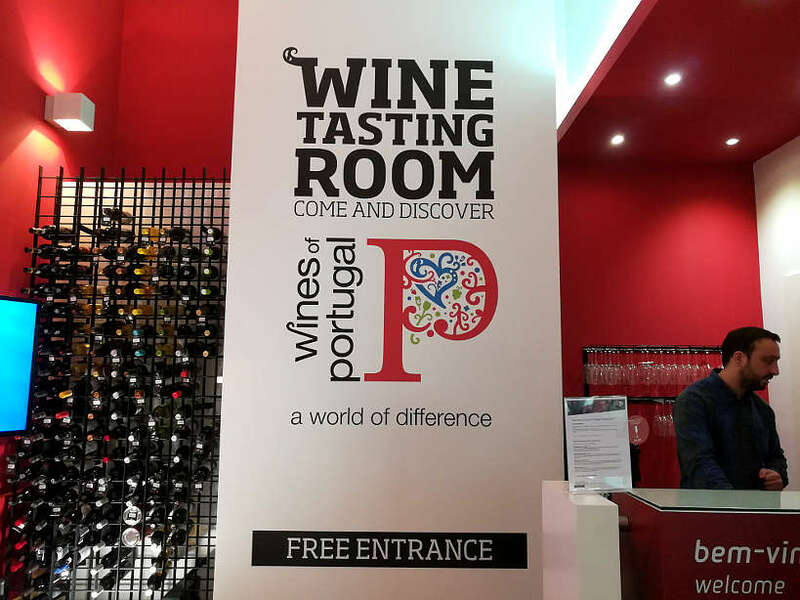 At the end of your visit, taste the wines from the Douro Valley at the Sala de Provas Vinhos de Portugal. The Porto Card offers you a 25% discount on any wine tasting. Pro tip: The Palácio da Bolsa can only be visited with guided tours. Tours are offered in different languages on the hour. Best is to head over to the Palacio da Bolsa first to book your tour for the day. 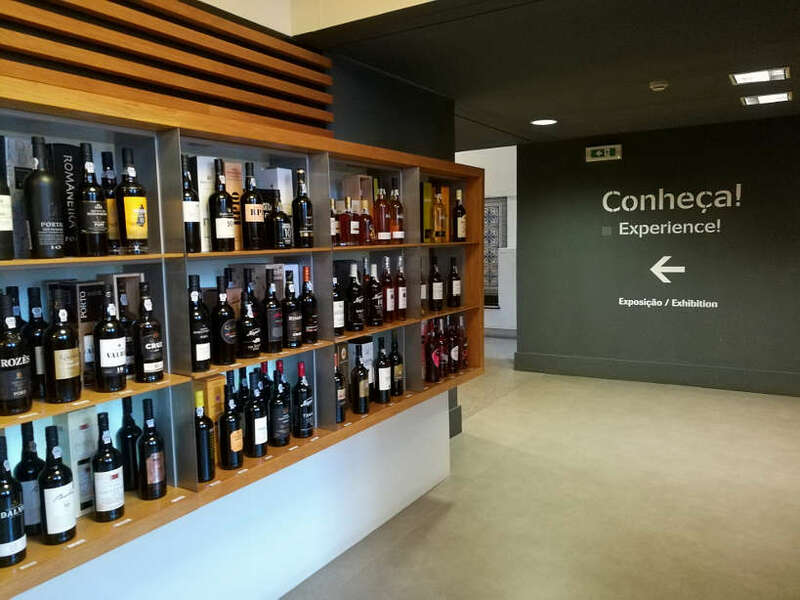 If your tour is not scheduled right away, you can go visit the Instituto do Vinho first and come back to the Palacio after. 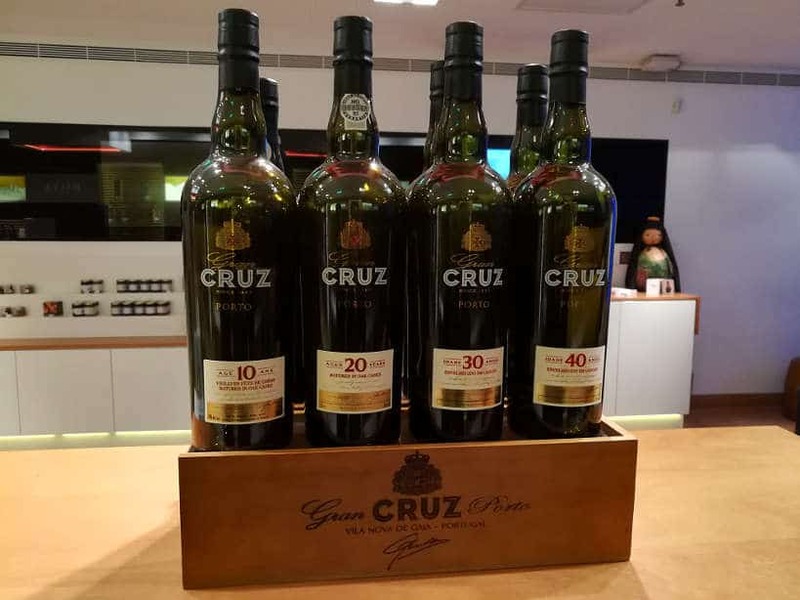 With a rich history in wines, Porto has a Port Wine Museum called the Museu do Vinho do Porto. On our first day with our Porto Card, we were eager to visit this museum which includes a free entrance for Porto Card holders. Unfortunately, the museum was closed at the time of our visit. The only indication on the door mentioned that the museum will be relocated to a different building and re-opening sometime in 2018. Ideally, we would recommend starting at the wine museum before visiting the Port Cellars. Check with the tourist office and find out if the museum has reopened yet. Address: Closed at time of visit. Re-opening and new location to be announced in late 2018. To taste the local flavors of Porto, the Porto card offers a selection of restaurants at different price points and experiences. 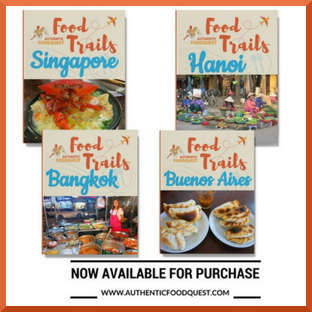 While there are several options to choose from, the following are popular spots to taste some specialties from the region. 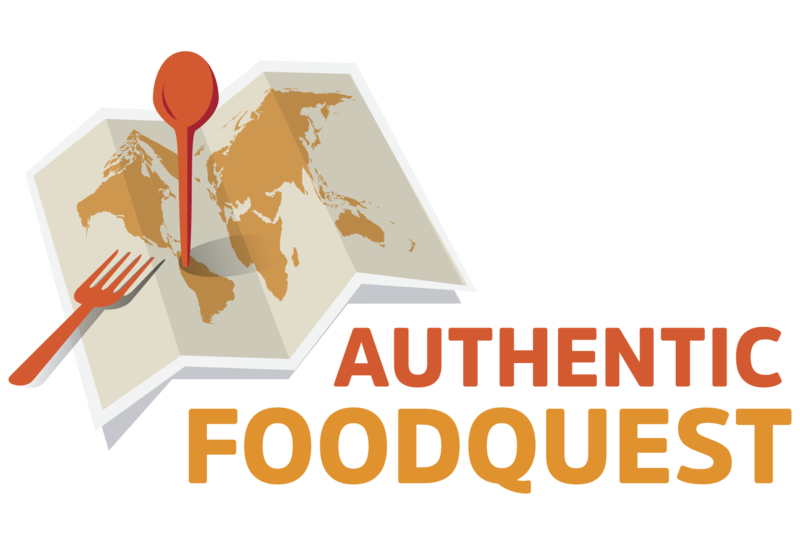 This traditional grocery store has over 500 craft products that showcase the best of Portugal. In addition to local cheeses, sausages, wines, olive oil, and cod, it’s also a great place to pick up gifts for your friends back home. You can also sample petiscos, Portuguese small bites served with local wines and beers. With its beautiful terrace right next to the Douro River, this French-named restaurant serves local Portuguese food. You’ll find local specialties like bacalhau a lagareiro (cod with potatoes), sardines, octopus and beef medallions cooked with port wine. Request a waterfront table and enjoy amazing port wines while taking in the magnificent views. If you plan to have dinner, book a reservation in advance. 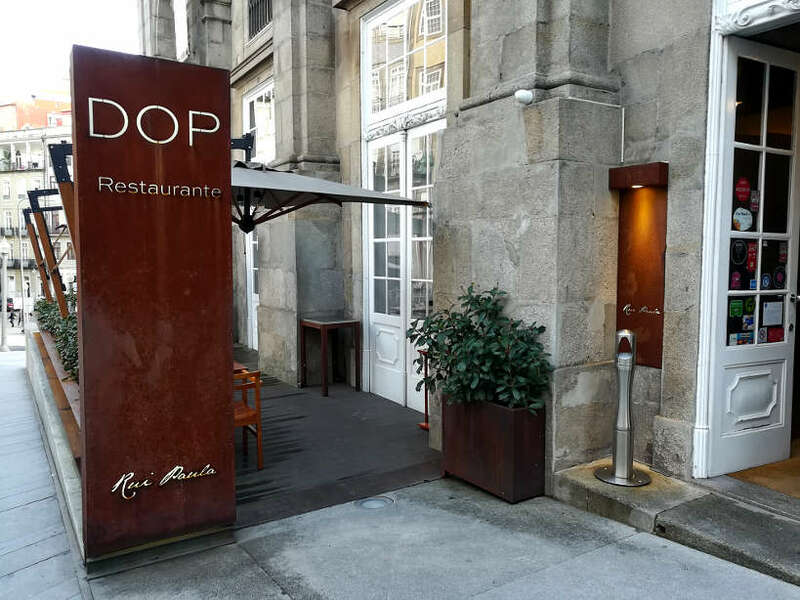 If you are looking for a high-end restaurant serving modern Portuguese cuisine, look no further than DOP, by Michelin Starred Chef, Rui Paula. Located in the historic Palace of Arts building, expect to find a contemporary twist on traditional Portuguese dishes with an emphasis on fish and seafood. While we didn’t eat at DOP, we recommend taking advantage of their “executive” lunch menu, where you can get three courses for €20. This offer is available only on weekdays and reservations are highly recommended. 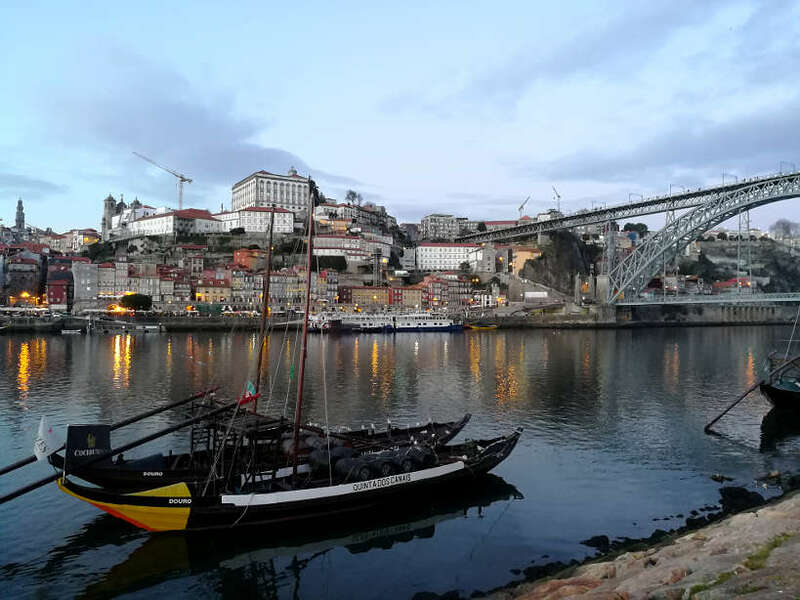 Porto is synonymous with Port wines, and learning more about the wines and visiting the port lodges is a must do. The Porto card offers discounts to several Port lodges in Vila Nova de Gaia, which is right across the Douro River from Porto city. We visited the following Port lodges and could have visited more if we had more time. Founded by the King of Portugal and the Prime Minister, Marques de Pombal, in 1756 this historic port house is worth visiting. It’s a little off the beaten path, but the intimate tours and tastings makes it worth the visit. With the Porto Card, your tour and tasting are free. 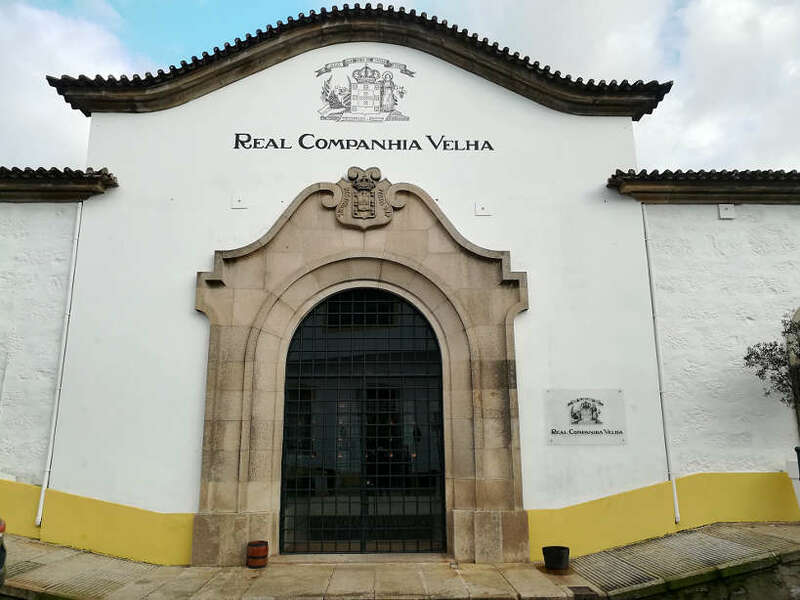 Take advantage and visit this historic port wine cellar. You’ll not miss the huge Cálem sign as you make your way across the Douro River. This popular port house offers organized tours for up to of 40 people at a time offered in different languages. 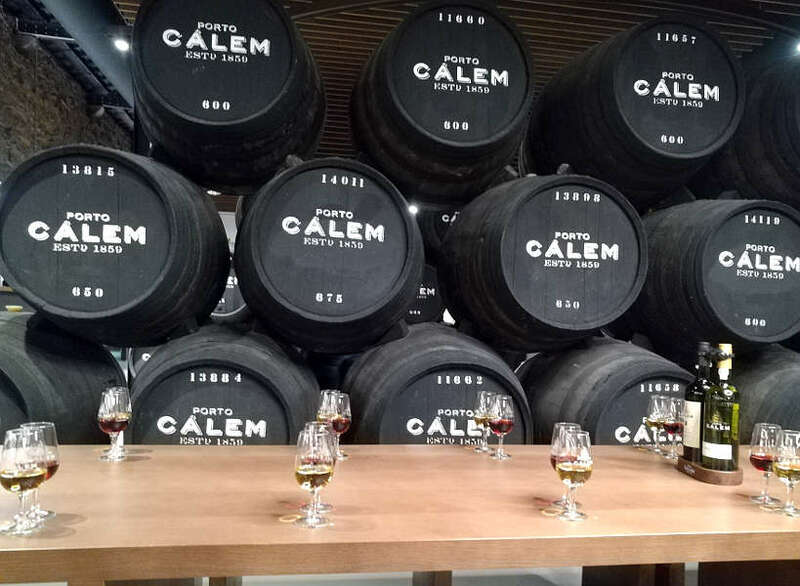 Despite the massive operation, Cálem has a wonderful small and interactive museum that shows each step of the Port winemaking process. With the Porto card, you get a 20% off discount on certain tours and products. Take your time at the museum and enjoy the port tastings at the end. For great views overlooking the Douro River, and a sampling of different Port wines paired with cheese or charcuterie, relax at Espaco Porto Cruz. This multimedia center offers a variety of ways to experience Port wines and the region. Find a wonderful combination of art and interactive presentations that introduce you to the region. The 360-virtual reality tour of the Douro Valley is not to be missed. The Porto card gets you 2 for 1Port-based cocktails, which are very popular in Portugal. With the Porto Card, we hit a few cultural sites including Casa do Infante Museu which was used as a custom and mint house. It is said to be the birthplace of Prince Henry the Navigator, famous for his role in building the Portuguese Empire in the 15th century. There are other museums which you can visit for free, however, most of the main cultural sites are offered with a 10% to 50% discount with the Porto card. If you haven’t had the chance to see a Fado show, discounts are offered at several venues including Casa Da Guitarra. Great for music lovers, this music store sells guitars including handmade traditional Portuguese guitars. Guided Walking Tours and a sightseeing bus are also available at a discounted price. One famous stop is at the Livraria Lello, one of the oldest bookstores in Portugal. Besides being one of the most beautiful bookstores in the world, it is also where J.K Rowling got inspiration for the Harry Potter series. If you are a beer enthusiast, you might want to visit the Casa da Cerveja where a 50% off discount is offered on the visit with the tasting included. Additional visit and tastings to other wine cellars are also offered at a discount. You can also get discounts for visits to wineries in the Douro Valley. Keep in mind that the discounts are more significant during the off-peak season typically between November and March. So, in the nutshell, is the Porto Card worth it? The Porto Card is relatively inexpensive though it offers limited free sites to visit. What’s impressive is that it can be used at many different kinds of venues including museums, wineries and restaurants, tours and more. If you combine free visits to the museums with discounted prices at stores, restaurants, and wineries, it can be advantageous and you will definitely save a few euros. From all the wineries visit combined, we saved about €16. To make the most of the card, we recommend planning your 72 hours itinerary in advance and check to see if the places you want to visit are included in the Porto Card guide. Keep in mind that overall, the attractions in Porto are quite inexpensive as well as public transportation. Choose wisely when it comes to which places to visit with the card versus without. 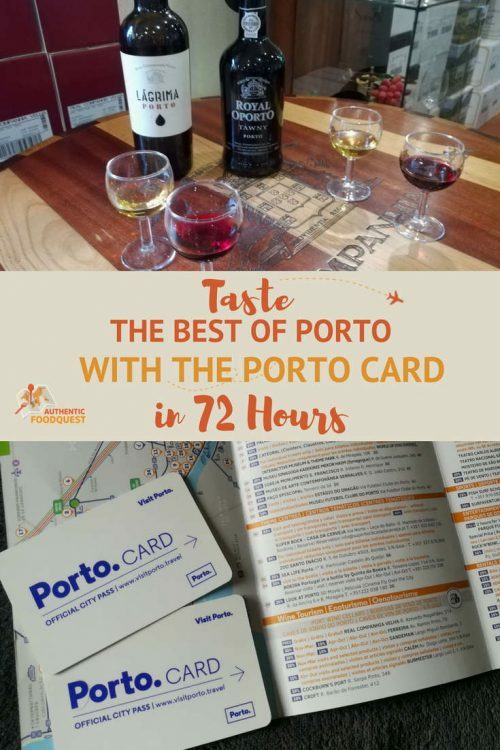 That said, 72 hours in Porto with the Porto card offers plenty of opportunities to indulge in local Port wines and taste the local specialties. Meanwhile, you also get an understanding of the historical and cultural background of this charming city. Click the link to easily get your Porto Card. We recommend getting the ones with transportation included. Even though Porto is a walkable city, it is a hilly city. Wear comfortable walking shoes and see even more of this rich heritage city. End your day listening to Fado, and discover the music that is the soul of Portugal. With a walking Porto Card, you want to stay at a convenient location close to the main attractions. Casas do Teatro has apartments and studios within walking distance from the beautifully tiled São Bento Train Station, the cathedral, and other monuments. With equipped kitchenettes, you can brew your own coffee in the morning or snack on local Portuguese treats in the comfort on your space. Disclosure: Our Porto Cards were provided by the Porto Northern Portugal Tourism Board. The opinions expressed in this article are always our own. Full bellies and happy taste buds too. Oh wow! What a great guide. I would def consider using the Porto card now, especially after all these pictures of wineries and the cheese. I would be one happy camper for my 72 hours! Awesome to hear Amy. The Porto Card offers a lot, it’s hard to choose from all the activities. Regardless, 72 hours is plenty to get you going with the flavors of Porto. Thanks for stopping by. I think it’s so great when a city offers these kind of passes! I used one in Vienna, I love them. Would certainly love to see where Jk Rowling got her Harry Potter inspiration from! You are right, city cards do offer so much and the discounts can be worth it. Seeing where JK Rowling got her inspiration is great. You must visit Porto, on your next trip to Portugal 🙂 Cheers. Oh wow! The Porto Cardsounds fabulous. I would love to spend all day (or week) sampling Porto wine!!! That’s great to hear. With the Porto Card and all the port lodges, you’ll be in good hands 🙂 Cheers. Oh I had no idea there was a Porto card. Definitely something I’ll consider when I visit later on in the year. I’m not much of a wine drinker unfortunately but the rest looks great! Perfect timing since you are traveling to Porto later on this year. We recommend the Porto Card and there is much more than the port wines 🙂 Let us know if you have any questions as you prepare for your trip. Cheers. The Porto Card seems like a good deal. I was in Porto two years ago and loved it! But I would certainly like a discount on their amazing wines. I had dinner at DOP and it was amazing! I’d go back for a meal any time. That’s great that you ate at DOP. We didn’t get to it this time, but we hope to on our next trip. The Porto Card can be advantageous. Something to consider for your next trip 🙂 Thanks, Stella. When I actually saw the prices of the Porto Card I couldn’t believe it. Seems like there’s so much and like you said, not just the standard museum stuff. I haven’t been to Portugal yet, but it’s been on my list! It’s actually quite amazing how much the Porto Card offers. Definitively do get one when you go to Portugal. Lisbon, the capital, also has one called the Lisbon card. Thanks for stopping by. I love a good discount card especially one with so many features! Thanks for this awesome tip Im always on the look out for blogs that share these discounted passes! Sounds like buying a Porto Card while visiting is worth it. I’ve never been to Porto and no ideas what to see there, but with several free entrances to museum, etc., I will take it. The Porto Card sounds like an amazing deal!! I love how you get discounts beverage discounts with it – not just museum discounts! 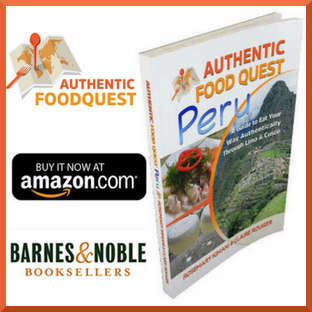 Sounds like you could easily spend days exploring the local cuisine. Yum! The Porto Card is indeed a great investment with so many options. Highly recommend it when you get to visit Porto. Thanks for stopping by. After falling in love with Lisbon I’m amped in getting back to explore more of Portugal. I love that the Porto card gets you discounts on wine and food in addition to attractions and transportation. The prices are very reasonable too. The Porto Card does offer many advantages and certainly worth considering if you visit the region. We fell in love with Lisbon too and are looking forward to our next trip. Glad you enjoyed the article. Thanks for stopping by Brianna! 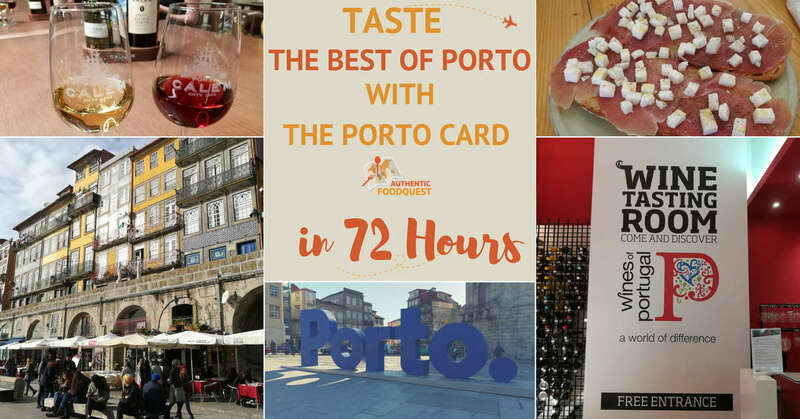 We’re planning a visit to Porto soon so knowing what discounts you can get with the 72-hour Porto Card is really useful. Espaço Porto Cruz sounds good and we love the sound of the Port sampling with the cheese and charcuterie pairing. That’s awesome to hear that you have an upcoming trip to Porto. Do consider the Porto Card and Espaço Porto Cruz should not be missed. Amazing views too! I didn’t know that the Porto card existed. We were there last time and we just did all the port wine tasting. We enjoyed the views of porto and they had good cheap wine. Definitely a place I would go back to. 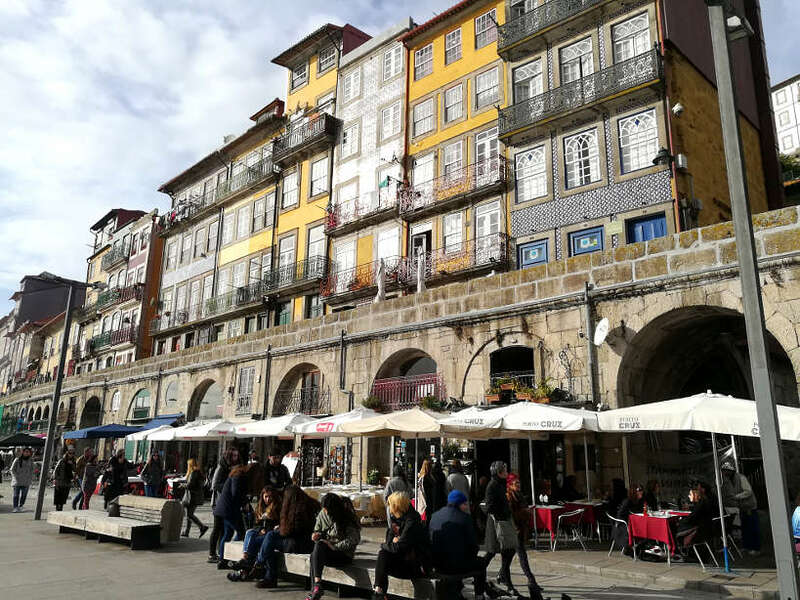 You are right and we totally agree with you, Porto is a place to go back to, over and over again 🙂 For your next trip, keep the Porto Card in mind. You’ll more than likely discover new places to explore. Thanks, Karla. It can be tricky to know whether or not discount cards are worth their price. I like your advice to look over where you want to visit in advance to see if it is worth it. We have had both good and bad experiences with discount cards, but one of them saved us so much money it paid for every other one we have ever gotten. I like that the Porto card let’s you save on so many different types of places, most discount cards are just for one type of place. You are right Chris, you really do have to weigh all options when considering a discount card. One advantage of the Porto Card is the variety of experiences offered. So, depending on how much time you have and what kind of experience you are looking for, it is worth considering. Besides, it’s not very expensive for the benefits offered. Cheers. The Arab Room looks exquisite! Such inspired attention to detail. The Porto Card is a brilliant idea for enjoying fine fare at a sweet discount. Keeping in when if/when we visit. Those savings build up over time. Thanks for the rocking share Claire. Cheers, Ryan!! Indeed those discounts do add up over time and you also get introduced to new places. The Arab room is magnificent, a site worth seeing 🙂 Thanks for stopping by. 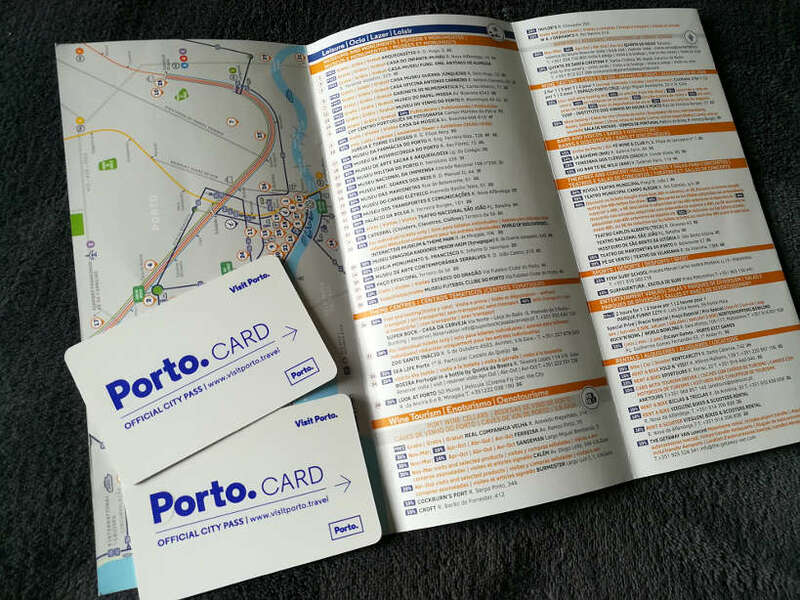 The Porto card seems really useful if you want to visit lots of attractions and wineries in Porto. However, you need to plan everything ahead, thus you can check if you will save money in the end. Porto has been in my bucket list for so long, and I’ve heard that it’s even more charming than Lisbon. I can’t believe how budget friendly it is, as you may have a three course meal prepared by a Michelin Starred Chef for 20 euros only, as you mentioned above! Can’t wait to go there! Whatever you’ve heard about Porto is true and probably better than you can imagine. 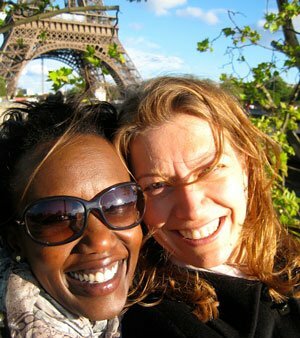 We loved the region and especially the wine and food. We can only recommend that you get there as soon as possible. So glad you enjoyed the article! Cheers. The Porto card seems like such a great bargain. Something you don’t want to pass up at all. I’ve been reading a lot about Portugal lately and the more I read, the more I want to go. I really need a bigger bank account! It’s no surprise you’ve been reading about Portugal, it is a magnificent country and worth exploring. You’ll be pleased to know Kathleen that Portugal is one of the lesser expensive destinations in Europe. It may not be as expensive as you think 🙂 Thanks for stopping by. Thanks so much and glad you enjoyed learning new tidbits about Porto. It is certainly a city not to miss on your travels to Portugal. Thanks for stopping by! It gives you discounts on wineries and wine tasting? No way, that’s actually fantastic. Sounds like a great investment (I don’t care as much about museums as I do about food and wine hehe). Then this is the perfect card for you…lol. Hope you make it to Porto soon and experience all the delicious bites with the Porto Card. Cheers! 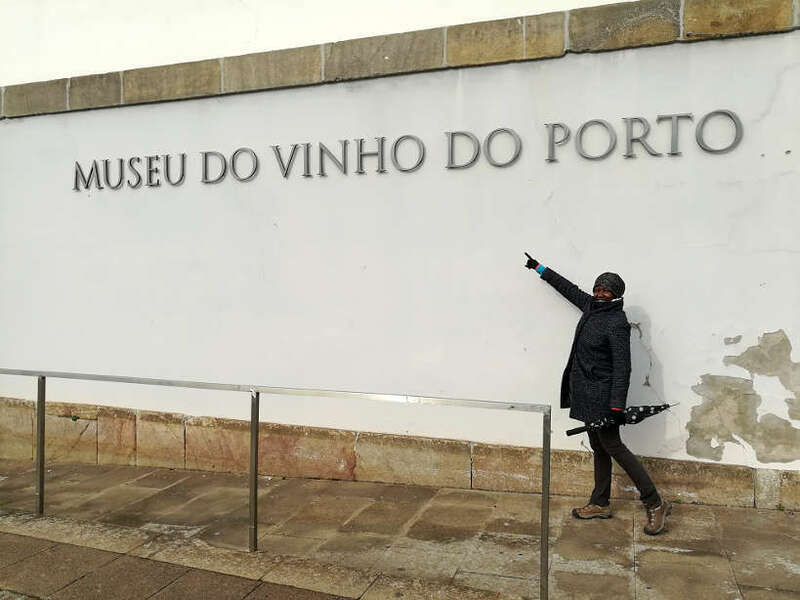 I know of Port wines and I have heard of city of Porto but never imagined the two were connected. Porto Card looks like it is worth the money with so many free and discounted things to do. 3 courses by Michelin Star chef at 20Euros is a steal. I have not been to Portugal yet but I guess Porto is worth a few days. Oh yes, a few days in Porto is certainly worth it. The Porto Card offers a lot including the amazing Port wines. Hope you get to Portugal soon 🙂 Thanks for stopping by. So glad you enjoyed the article Ami. The Porto Card does have a lot of benefits and worth considering for your travels to Porto, Portugal!